Allen Timney retired in 1981 and sold Timney to Paul and Rosemary Vehr – parents of the current company owner and president. Paul and Rosemary ran the company until 1999, when they agreed to sell it to their son John who had been working in the family business since 1994 and served as general manager. Unfortunately, three days after the 2000 Shooting, Hunting and Outdoor Trade (SHOT) Show, Rosemary Vehr passed away. Five weeks later, Paul too passed away leaving the pending sale contract unsigned on his desk. John eventually bought the Timney Triggers from his siblings and began to immediately invest heavily in technology, cutting-edge machinery, people and most importantly – a mindset. 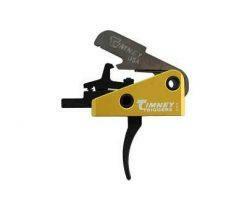 By focusing on the customer and producing the utmost in quality products able to be produced, Timney Triggers quickly became the company that set the standard in aftermarket triggers. By innovating and listening to their customers, Timney is now producing more than 170 models of triggers for bolt-action rifles, shotguns, AR rifles and semi-automatic rifles.